I've noticed that the people who replied have never had BLAs. I'm the moderator of a group with 180 BLAers. Based on our group, people have BLAs for several reasons. pituitary cells. Further pituitary treatment would be put the patient into remission. 2) INOPERABLE TUMORS and RADIATION. The pituitary tumor is inoperable because it is located near the carotid artery or optic chasm. Additional pituitary surgery can lead to stroke if the tumor is located near the carotid arteries or blindness if the tumor is located near the optic chasm. Many docs want to pursue radiation even in these delicate places, but the radiation beams are 2-3 millimeters wide, and the tissue left behind after our 2-10+ millimeter tumors are removed is extremely small. So... that laser is still too wide for my comfort. Would an artist paint a woman's face on a standard canvas with a brush used for painting the side of a house? No, the brush width is too wide to capture the delicate details needed for a portrait. Paint would go where you don't want it, and that is the problem with radiation. On bigger tumors in other parts of the body, 2-3 mm beam sounds small, so radiation risks are lower. For us, there is a risk that radiation misses or overradiates the intended area. A close friend of mine had radiation damage to the hypothalamus when radiation meant for her pituitary missed. She was very ill and couldn't control her body temperature for last five years after radiation. She was extremely hot when cold out and extremely cold when hot out. Think about that: radiation that missed prevented a mammal/ human from doing a totally mammalian thing: self-regulating its temperature of 97-98.6 degrees! So FYI radiation is not the cure that doctors say it is. To this day, I fear radiation far more than I ever feared BLA. After seeing what my dear friend went through, in my opinion, it is more dangerous than a BLA. Would the doctors agree? No. They want you to have radiation so they keep their facility success rates higher, oh, and so you have the chance at successful treatment. Plus, they will never personally see and treat 180 BLA patients in their practice. Unfortunately, their recommendations are so often based in fear of the unknown vs what is possible. We BLAers face fear daily and live the best life we can despite it. Also, a big one—radiation takes 3-5 years to actually work. In the meantime, the patient is still experiencing high cortisol symptoms and horrific, unreversible damage to the body continues. The doctors may put patients on drugs like Korlym, Signifor, or ketoconazole, but all are meant for short-term, band aid use no matter what drug reps or docs being paid to prescribe the drugs say. So, the questions becomes, how much more damage can your body take? How much more of life are you willing to miss while waiting for the radiation your doctor wants for you to work? 3) PITUITARY HORMONE REPLACEMENT AFTER ANY PITUITARY TREATMENT. The pituitary is the master gland and it makes many neurotransmitters and hormones that docs can't test for. Each successive pituitary surgery—even performed by skilled neurosurgeons—will damage the pituitary. The more pituitary surgeries means more damage to the normal homeostasis the gland has, even if the surgeons just removes the tumors. I replace most of the pituitary hormones after two unsuccessful pituitary surgeries: two thyroid medicines, growth hormone injections, progesterone, estrogen patch, testosterone, melatonin for sleep. I do not replace vasopressin for diabetes insipidis. I'm trying to get oxytocin testing soon. PS Patients with adrenal Cushing's who don't have pituitary surgeries prior to BLA tend to do better than the rest of us. That right there shows me the damage that any pituitary surgery does. 4) FERTILITY. Cushing's strikes woman five times more than me, as 4 of 5 Cushies are female. Therefore, fertility is a big topic largely ignored in the consultations female patients have with even the top endocrinologists and surgeons. If you have not had children or were hoping for more children, successive pituitary surgeries reduce your chance to have a child naturally. Doctors will tell you—as they swore to me—that reproductive endocrinologists can get you pregnant with fertility drugs. While true, many of us have no money left after Cushing's diagnosis and treatment to pay for the advanced fertility treatments like egg retrieval and in vitro fertilization when first line meds like clomid to increase egg production fail to work on a damaged pituitary. For me, I tried to get pregnant between my first and second pituitary surgeries. I didn't ovulate because LH and FSH wouldn't budge. They would boost me to create follicle/ eggs with clomid and then boost me with meds to release the eggs but I never made enough viable eggs. Month after month, this didn't work. After six months, my husband and I decided that our family with one child was complete and I moved on to second pituitary surgery. Therefore, fertility expectations must be a consideration for the patient even if the doctors (who have their own families and never had to make this decision) don't consider it or even mention it. PS Many women get pregnant after BLA. I've counted 25+ babies in our group, all conceived easily and surprisingly after BLA. In most instances, mothers were shocked but elated with these pregnancies, since they had no idea they were able to have children after years of infertility that Cushing's causes. 5) NELSON'S. Nelson's occurs in less than 10% of the 180 BLAers on this group. Is 10% still too high for comfort? Of course. However, that means 90% didn't develop Nelson's, and that is a good thing. We have BLAers in the group who have had their BLAs 40-50 years ago to 15-20 years ago to 3-5 years ago to the newly adrenalless. So the group is good for longitudinal studies. PS I have pituitary tumors 3 and 4 percolating up in my pituitary right now. They aren't producing excess ACTH or pressing against anything, so we will monitor it. Even with those pesky things up north, I still have no regrets about choosing to have a BLA. 6) MEDICATION EVERY DAY. If you had one or two pituitary surgeries, chances are high that you must take medication daily to replace the pituitary hormones lost from those surgeries or just the presence of the tumor(s). For us BLAers, we know that taking cortisol every day is easier to manage than controlling Cushing's excessive cortisol. We know that we control the cortisol; the cortisol doesn't control us. We Cushies know how devastating the pervasive attack of cortisol is on our bodies and minds. For us, BLA provides long-sought-out relief. We get into a daily routine with timers, cortisol pills, aldosterone pills, salt intake (pickle juice, pretzels, broth), and electrolyte drinks. Since the adrenal glands control electrolyte balance, we must stay hydrated daily. We drink lots of water! It becomes a new way of life. We take things easy because we have to. We learn to say no more because we pay the price and the stress will send us into adrenal crisis. And we know that our bodies give us lots of warning. 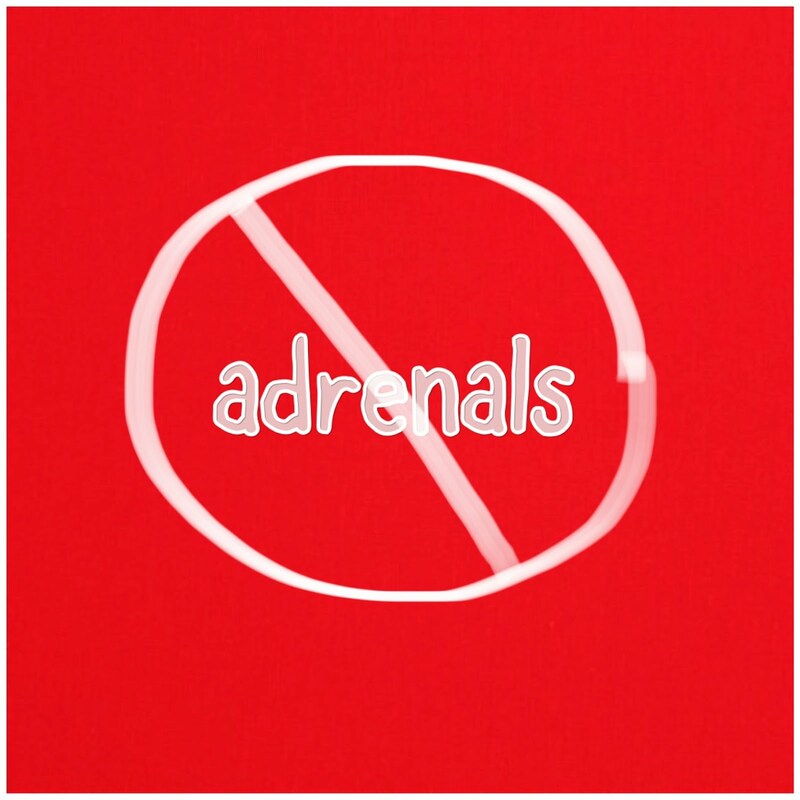 If unheeded and untreated, we go from adrenal insufficiency to adrenal crisis. Think of it this way: you wouldn't stop driving just because you will have to stop your car at intersections, where you can die if you fail to do so and you can get crushed in the middle of intersections, right? What do you do to keep yourself safe at intersections? You stay alert. Keep your eyes open for the light to change from green to red. You travel at posted speeds. You apply the brake and slowly bring your car to a safe stop in front of the white line. It is the same for adrenal crisis. We take the necessary steps to prevent us from going into the dangerous intersection of adrenal crisis. As long as we commit to doing that every day, just as we do when driving, then we can stay safe. PS I got a service dog to keep me from adrenal crisis. In the year I have had him, I've been able to stay ahead of adrenal crisis and even adrenal insufficiency, as he alerts me to chemical changes in my body before I am symptomatic. That's so helpful! 7) IRREVERSIBLE. While BLA seems intimidating and overwhelming for others, we BLAers know it saved our lives and gave us back a new life without cushing's. For all its risks, that hope and relief cannot be understated. When asked if they regret their BLA, 3-5 out of 180 say they regret it. Those patients have poor follow up care, don't get tests regularly, and don't push doctors for what they need or don't change doctors to get what they need. Overwhelmingly, people are happy they made the decision to have a BLA. It is definitely a no-going-back decision but most of life's big decisions are. We must make the best decision we can at the time we have to make the decision, weighing benefits vs risks. We step forward and hope for the best. The group is a lifeline to all of us who have to move forward in our daily lives and experience things doctors only read about in medical journals or know second-hand from hearing their patients tell them. Patients know more than doctors about BLA, but we strive to work as partners with our doctors to get the best care. We patients save each other's lives, and I'm grateful to have built this group from one Cushie to 180 BLAers in the past 4.5 years. I have lots to say about BLA, but I need to go now. PS Please excuse typing errors. I'm on my iPhone in bed!Be sure to like my facebook page: Fight Cushing's with Moxie. Bye for now! WE RUN TO OTHER CUSHIES. 3. Courage and aggressiveness; initiative; nerve. When illness strikes, we look to doctors for answers. What if they can't help? For these unlucky patients, diagnosis is a mystery. I am not a medical professional. I am not a doctor nor have I gone to med school. I am not a physician assistant, a nurse, or a lab technician. I do not currently work in the medical field. Perhaps what I can provide is actually better and more useful: a tale of odd symptoms, mild physical deformities, and emotional/mental experiences that match your own. It's not just you! 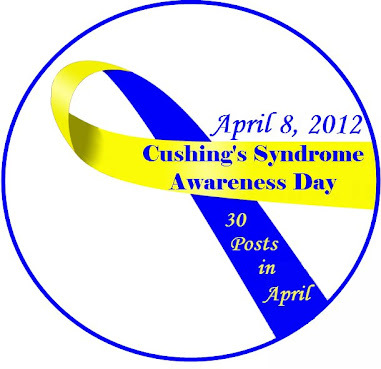 I can share my experience in the diagnosis and treatment of my Cushing's disease. Due to this disease's 'rarity,' I relied on my Cushie friends to guide me as we fight this terrible disease. We all quickly learned the basics and the jargon: the body parts, hormone loops, testing protocals, surgical stats, surgeon bios and pedigrees, and paths to recovery. We have seen patients have successful surgeries, and we have seen patients continue to suffer after multiple surgeries. We watch the story of Cushing's unfold for our friends in real time. Our friends are case studies that are unimpressed by whether something meets the standard of 'statistically significant' to be included in the medical literature. We Cushies see and hear it all. We encourage you to grow the same eyes and ears. We urge you to take an active role in your health care and work closely with medical professionals. If you find a doctor dismissive, find a new one. Use my blog to supplement your knowledge base but never substitute my judgment or decisions for your own. And please, don't sue me. I have no money left over after medical expenses. One day, I swear, I'm gonna take a nice vacation. WHERE TO START IF YOU ARE NEW? This side bar is intended to be a mini Cushings 101. You will find much of what you need to know here. Click through these links and watch these videos. They are my favorites after researching for Cushing's for six full years now. I started this blog in 2008, so the broad view posts about me can be found there. Click around previous blog posts and read, read, read. You will get scared and overwhelmed, but with information, you will start to take charge of your health and you will arm yourself with what you need to win this war. Because you will, you know. You will win this war. * Can your cooking pots be the cause of Cushing's? Click on the belly for more symptoms. This disease is an enigma - a mystery wrapped in a riddle. Remove the guesswork and pressure off yourself to know how cortisol ravages your body as it swings from high to low to high levels. Very few Cushies when their cortisol levels are high versus low, and frankly, it is quite unfair that we should have to know. Until someone develops a cortisolometer, similar to a glucometer for testing blood sugar, a Cushing's patient may never know for sure whether the cortisol is high or low. I hope the Addison's community will take the lead on that! I encourage you to test your cortisol testing every night in a row until you get your highs. Do not skip. 1) Do 24 hour UFCs with 17-OHS. 2) Get cortisol blood draws at midnight and again 30 minutes later. 3) Chew a salivary cortisol test swab while getting your blood drawn each time. I got my biggest diagnostic highs doing this, after 4 years of trying to follow doctors' suggestions of tracking symptoms and only testing once a night around midnight. Take control. Your mission is to show up every night, and hang in there. TRUST YOUR GUT. It just might save your life. I am a cyclical Cushing's patient. I had transsphenoidal pituitary brain surgery on June 11, 2009. By going through my nose with scopes and scalpels, my neurosurgeon removed a 3 millimeter ACTH-secreting benign tumor on the left pituitary that disrupted every hormone and every body system. He says the tumor's cytology was consistent with other Cushing's tumors he has removed in the past, meaning that he removed a milky white substance that was different looking that the normal pinkish pituitary gland cells. Within 3 months of my surgery, I knew I was not cured. I still had Cushing's symptoms, and I tested again for a re-occurrence of Cushing's. 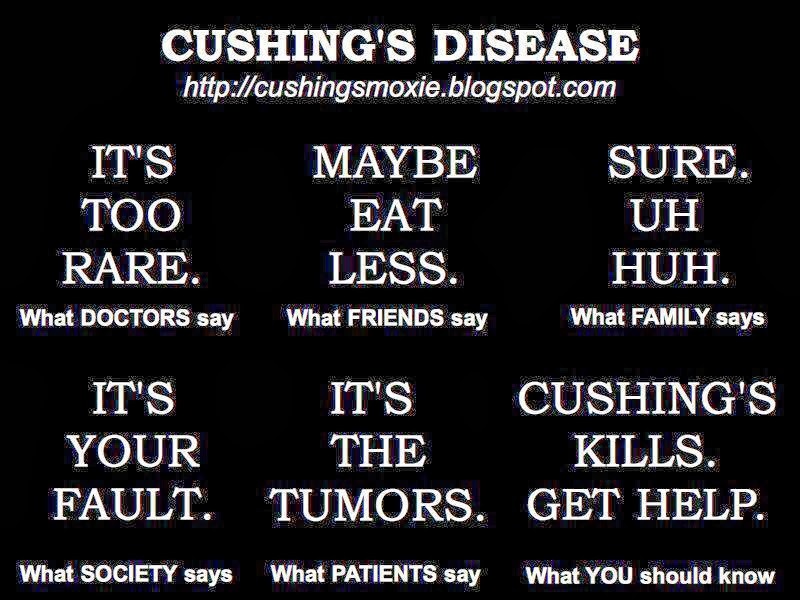 In 2010 alone, F*I*V*E endocrinologists told me I don't have Cushing's and they think I never did. They said I had pituitary surgery for nothing. That includes two that I saw before my pituitary surgery. It seems doctors really don't know what to do with a Cushing's patient, much less one that comes back still sick after pituitary surgery. In February 2011, I tested again at my local hospital, and I hit the jackpot: the highest results for midnight cortisol serums and midnight cortisol salivas that I have had in nearly 4 years. I also had nine straight days of high 17-OHS (used to measure urinary cortisol in patients with mild or cyclical Cushing's). I had diagnostic results on three types of cortisol tests: midnight salivary cortisol, midnight cortisol serum, urinary 17-OHS. I had a 2nd pituitary surgery on April 20, 2011. The neurosurgeon removed a 5-millimeter benign tumor from the right side of my pituitary. I still suffer from high cortisol and high ACTH, with the latter pinpointing the source as pituitary. No tumor shows on my MRI so in August 2012 I started a medical therapy by taking a well-established medication called ketoconazole. This has helped me reverse some but not all of the Cushing's symptoms. Keto can cause liver damage so I must have liver function tests every three months. I hope I can continue to tolerate this medication until a tumor shows. Next MRI scheduled for June 2013. Rather than test once in a while, I tested every day. My results clearly showed I had an abnormal cortisol production pattern. I was right. Those doctors were wrong. ALL OF THEM WERE WRONG. Trust your gut. You know your body. Shania Twain - Today Is Your Day. How did you find out about Cushing's? Click to see the Cushie Bloggers who will post every day! Thyroid imbalance or "slow metabolism"
Is it possible you have many conditions damaging your body simultaneously? Sure. Is it more likely that you have ONE condition that explains all that ails you? Yes. That could be Cushing's. In medical school, doctors are trained that it is better to find one diagnosis to fit all symptoms. Go ahead and ask your doctor about that when s/he tells you that you have multiple overlapping illnesses. Once you get abnormally high biochemical evidence (ACTH and cortisol) in the form of urine, saliva, and/or blood tests, it is highly probable you have Cushing's. Trust your instincts. Don't let the doctors tell you differently. The pituitary controls the production of every hormone in the body. We Cushies go undiagnosed as we bounce around from medical subfield to subfield. Each doc treats the symptoms they know best, while piling on the medication. We Cushies later find that our constellation of symptoms are punctuated with abnormal test results hidden away in our patient charts. No one told us. Since our medical history stays with the office not the patient, one change in doctor leaves these clues to diagnosis behind. This is why I suggest you take a list of symptoms to every appointment. You won't be boxed in by narrowly-focused questions based on one field of medicine, but you can instead partner with your doctors and discuss your symptoms list so you can get the care you deserve. DON'T GET STUCK SEEING A SPECIALIST WHO TREATS ONLY ONE BODY SYSTEM. CUSHING'S AFFECTS THEM ALL. Don't bounce around. See an endocrinologist. Show them you are an informed patient. Don't let them turn you away to suffer.Get yourself help. Demand it, if you must. Don't give up. If followers is greater than 1, then my time is well spent. I want to disclose my relationship with Corcept Therapeutics. I participated in their market research study in Philadelphia, CA in February 2012. I gave feedback on marketing material and told my story on camera for internal educational use. Corcept paid for my travel expenses. In July 2012, I met the Cushing's advocate and nurse at the MAGIC Convention in Chicago. We shared a meal as a group, and she kindly paid for our dinner. In addition, I hold stock in Corcept Therapeutics; not because I am rich, but because I have Cushing's. Please rest assured that this affiliation will never compromise my intent to bring patients all information I can get my hands on to help them on their road to diagnosis and recovery. You have my word.